Support in Diabetes Management: How beneficial is it? Diabetes can be challenging but having the right support around you can be the difference between success and struggles. Is social support important in diabetes management? Of course the answer is complex. Generally speaking, social supports influence diabetes management in both positive and negative ways. When considering adherence to diabetes treatment, the quality of the support is more important than how many people you have as a support. Thus, if a support person has demands that compete with treatment advice (i.e. a husband not wanting to eat less fried foods and increase vegetables in the diet) then diabetes management strategies are often discarded. However, on the positive side, living with others (not necessarily a partner) can promote a better diet and exercise routines in diabetes management. Social supports may impact diabetes management differently - dependent on the type of diabetes! In gestational diabetes support from family members can increase adherence to dietary recommendations. However, social support in general leads to increased adherence with insulin administration as well as dietary requirements. Even after birth support is important, as having a lack of assistance in caring for the baby can inhibit levels of physical activity – which could further increase the risk of developing type 2 diabetes. In type 2 diabetes family supports could be the biggest influence of adherence to treatment and has also been found to be beneficial for blood pressure control. Being married has also been attributed with lower HbA1c. Whilst low levels of family support have been shown to negatively affect both self-management and quality of life in people Type 2 diabetes. Family support appears to be a little more influential in type 1 diabetes. Family conflict has shown to decrease adherence, whilst family cohesion and expressing feelings directly are positive for optimal glycaemic control. Similarly, parental support in Type 1 diabetes results in more frequent blood glucose testing in 10 to 15 year-old children, and thus better glucose control. 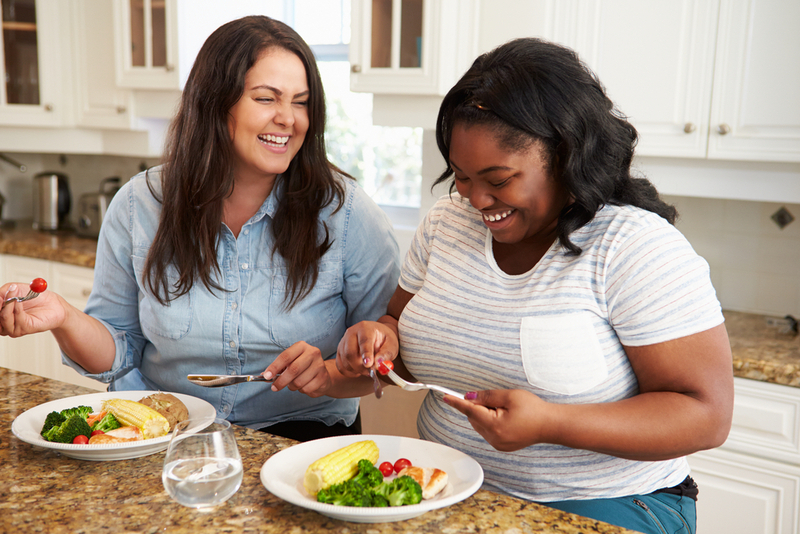 But it’s not just family members who are influential, for adolescents social support from friends promotes optimal well-being and dietary self-care. In pre-adolescents and adolescents, a mother's collaborative involvement in diabetes management is important for their child's: quality of life, adherence to diabetes tasks and glucose control. On the other hand, low family support is linked to reduced levels of self-management and quality of life. It has also been found that recurrent diabetic ketoacidosis (which is life threatening) is common in family environment’s that include interpersonal conflict, lack of diabetes related support, financial stress, and inadequate parenting. Generally, professional support is beneficial to diabetes management and reduces diabetes complications. However, sometimes attendance can drop due to denial or fear of getting in trouble or by high self-expectations and waiting to be “good enough”. Non-attendance with diabetes appointments is linked with poor glycaemic control and decreased medication adherence (therefore also increasing the risk of complications). It is important to remember that the purpose of having a diabetes care team is for them to assist you with any difficulties. YOU play a crucial role in your diabetes management so even if you feel you haven’t completely followed a professional’s advice ONLY YOU can communicate what or why there’s a challenge–so then health professionals can review their treatment advice or approach. Research also shows the quality of your health professional’s relationship is influential. In a study of type 2 diabetes, good communication between the patient and health professional increased adherence whilst poor communication was associated with reduced glucose monitoring and treatment of hypoglycaemia. Makes sense, I mean how can we control something if we don’t understand what’s happening (…for both patient and doctor)? Support groups can also be of benefit in diabetes. For example, who would have thought that peer support and problem solving groups for type 1 adolescents could increase treatment adherence, better treatment communication with parents, and fewer objections of testing blood sugar or injecting insulin in public. So maybe consider online or community groups too? Do you need to increase you supports? Do you need to reach out to community or on-line support groups? Do you need to re-access your professional supports? Do you need to make changes to your behaviour regardless of what others are doing around you? Do you need to be a better support for someone else (or even yourself)? Because at the end of the day – having the support you need depends on you!